They shine like a beacon from the future, and people live in them. 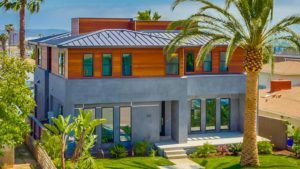 Five “modern homes” in Hillcrest, Pacific Beach and La Jolla will open their doors to strangers next month. A self-guided tour of such gems is being promoted by the new Modern Architecture + Design Society (or MA+DS). Viewing is from 11 a.m. to 5 p.m. Saturday, Oct. 15. Tickets are $35 in advance online; $40 on the day of the tour. Kids under 12 are free when accompanying their parents. Details, photos and tickets are here. Tour-goers can get the inside scoop from homeowners on what it’s like to live in a modern home, and talk to the architects to find out where they got their inspiration. 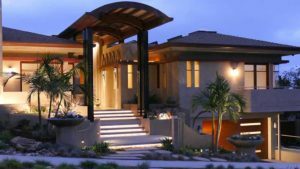 The San Diego MA+DS Home Tour is a featured event in Archtoberfest, presented by the San Diego Architectural Foundation. The SDAF has been named the tour’s local nonprofit beneficiary for the third year in a row. Members of the SDAF, along with students from the Design Institute of San Diego, will help staff the event. A brand new modern home in the Bird Rock area of La Jolla, designed by architect David Hertz in collaboration with Marmol Radziner, named in the top 100 architects of the world. The home features open spaces, walls of glass, a pool/spa patio, and an expansive ocean view from the 2,000 square foot hardwood rooftop deck with fire pit. The “Clea House” in Hillcrest designed and built by Nakhshab Development & Design. This home is a LEED Gold Certified mid-century modern-inspired dwelling that features 20-foot wide Fleetwood sliding glass doors that open to an expansive outdoor patio from the living room, panoramic views out a front wall of windows that spans almost the entire length of the home, and an elevator. 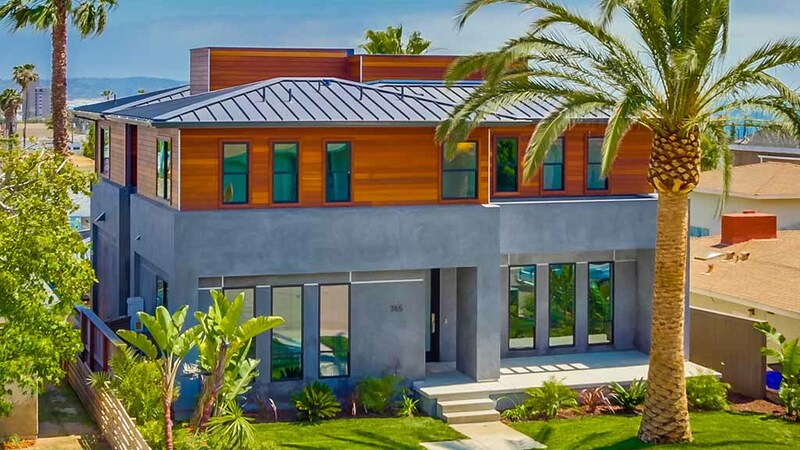 A new home in the northern edge of Pacific Beach designed by De Bartolo + Rimanic Design Studio and built by Tourmaline Properties. This home features ocean views from the master bedroom and master balcony. Additional features include a standing seam metal roof, mahogany siding, Western windows and door systems, hardwood floors throughout, Silestone countertops, Heath Ceramics tile, and Thermador appliances. A second look at a home from the 2015 Modern Home Tour. This home in La Jolla — designed by Simi Razavian CGBD, LEED AP, at MSA & Associates Inc. — was just a shell on last year’s tour. The home boasts a number of green design strategies that make for an energy efficient home that is a place of tranquility and peace. 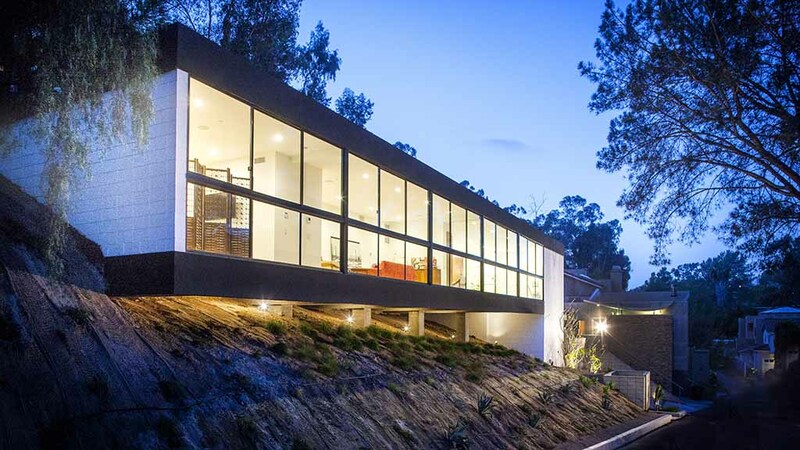 A second Hillcrest home, brand new and designed by Architects Magnus. The home is called Bridge House, for the bridge that connects the main residence to a separate garage/studio. The buildings are separated by a 10-foot City utility easement, running front to back, around which the home had to be built.